The Board of Directors of SeriousFun Children’s Network voted this week to admit North Star Reach in Michigan and Solaputi Kids’ Camp in Japan as Full Member Camps of the global Network. Founded by Paul Newman in 1988, SeriousFun Children’s Network is a community of 30 camps and programs around the world serving children with serious illnesses and their families, always free of charge. North Star Reach is located on 105 acres in Pinckney, Michigan. Accommodating approximately 1,500 children with chronic and life-threatening health challenges and their family members annually, it is a year-round regional resource serving children’s hospitals in the Great Lakes area. The camp features a health center, dining hall, arts and crafts center, nature trails, athletic fields, an accessible tree house with zip line, archery range, amphitheater and waterfront dock, all designed to fit in a rustic camp environment. North Star Reach’s Medical Advisory Committee is assembled from partner hospital and health systems, continually evaluating the needs of the region and ensuring a safe and medically secure program environment. 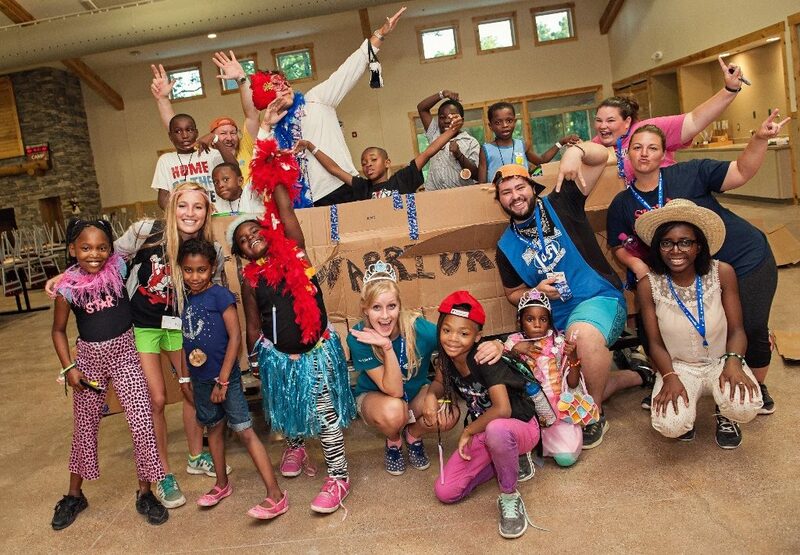 Campers and counselors pose for a silly picture during fun programming at North Star Reach. Approximately 1,500 children with chronic and life-threatening health challenges and their family members attend North Star Reach annually. 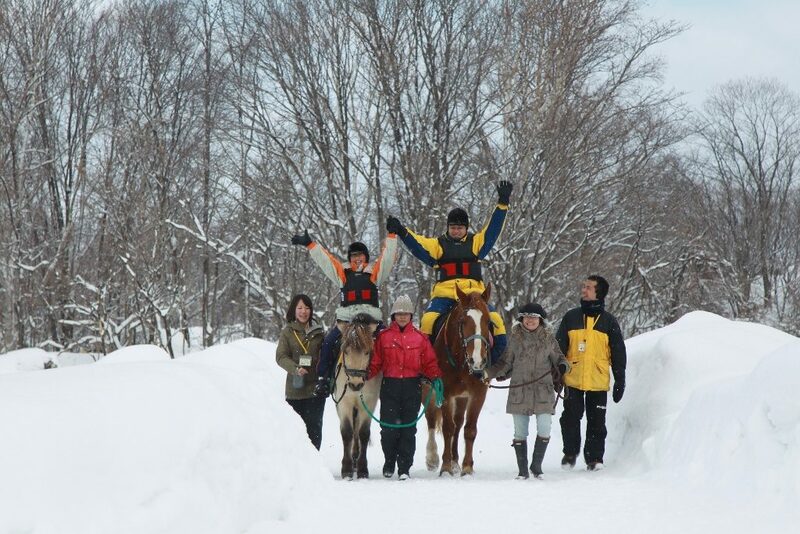 Solaputi Kids’ Camp in Hokkaido, Japan provides specialized programs for children who have a serious or life-threatening illness, aiming to enrich their lives and empower them and their families to deal with their illnesses. At their customized camp facilities, the continual focus of the leadership, staff and volunteers at Solaputi Kids’ Camp is to provide campers with outdoor programs that are both safe and enjoyable. With critical medical services provided by on-site doctors and nurses in a non-intrusive setting, they offer children and their families the opportunity to forget about illness, have fun, make new memories and friends, and uncover renewed strength for the future. At Solaputi’s specially-built camp facility, children and their families can experience the joy of nature through experiential activity programs in a relaxed and safe environment. The approval of the SeriousFun Board to grant Full Member Camp status for both camps is the culmination of a multi-year process during which the camps worked closely with the Network Support Center to exhibit and substantiate their capacity to carry out the highest quality programs for children living with serious illnesses; offer and maintain a safe and secure site that meets varying abilities and is adaptive to individual needs; execute skilled fundraising and donor cultivation for financial sustainability; and meet quality assurance standards set by the Network to ensure consistency and mission alignment. As Full Members, the camps will be able to access technical and programmatic, fundraising, and promotional support from the Network and will receive a voting seat on the Board of Directors to help inform policies and strategies. SeriousFun Children’s Network is a global community of 30 camps and programs serving children with serious illnesses and their families, always free of charge. Founded by Paul Newman in 1988, SeriousFun has served more than 732,000 children and families from more than 50 countries. Each member camp is an independent, not-for-profit organization dependent upon private funding to serve all children at no cost to their families. A Support Center raises funds and provides central standards and services for all SeriousFun camps and programs. To learn more about SeriousFun, visit www.seriousfunnetwork.org. North Star Reach is a 501(c)(3) non-profit organization located on 105 wooded acres in Pinckney, Michigan. As a member of the SeriousFun Children’s Network, founded by Paul Newman, we provide transformative camp experiences for children with serious health challenges and their families, free of charge. Our state-of-the-art health center is staffed 24/7 by medical professionals from leading hospitals and medical centers throughout Michigan and the Chicago area. We welcome donations to make magical camp experiences available to as many children as possible. For more information, visit www.northstarreach.org. Solaputi Kids’ Camp serves children with serious illnesses and their families to improve their quality of life by providing outdoor experiences that address emotional and spiritual needs. At their specially-built camp facility, children and their families can experience the joy of nature through experiential activity programs in a relaxed and safe environment. With the support of the nearby Takikawa Municipal Hospital, doctors and nurses are always on hand to take care of medical issues. Solaputi aims to offer these children happy memories, wonderful new friends, and hope. For more information, visit http://www.solaputi.jp/en/.